The Pines and Roughley House, built in 1856, has been home to five generations of the Roughley family from convict beginnings to community patrons. Named after the many towering pine trees planted by various generations of the family, the homestead commands views of the Blue Mountains and north western Sydney. Clive Roughley, youngest of five children lived in Roughley House until 2002. 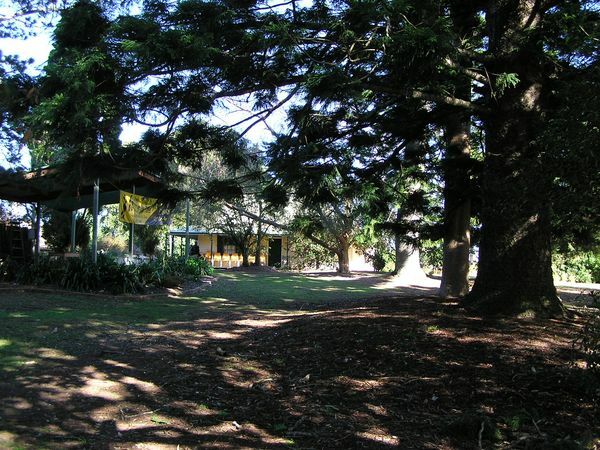 In 1986 without direct heirs to pass on his family home, Clive sold Roughley House and The Pines to The Hills Shire Council for a small fee providing the property would continue to tell of the Roughley family’s colonial life. Visiting The Pines reveals more than ageing furniture and artefacts. Each room is a ‘time-capsule’ illustrating themes such as the hardship of convict living, the family’s determination to build a new life in the fledgling colony, and their growing prosperity. Larrikin yarns and the pain of a family tragedy are some of the stories told. Please phone to arrange tours. Older visitors are discouraged from using the upper storey of the house. The remainder of the site is accessible.